The E2 Visa is a great option for investors and entrepreneurs. With an E2 visa, you can live in the United States, start a US business, and work for your business. In this guide I will discuss what you need to know the E2 visa. 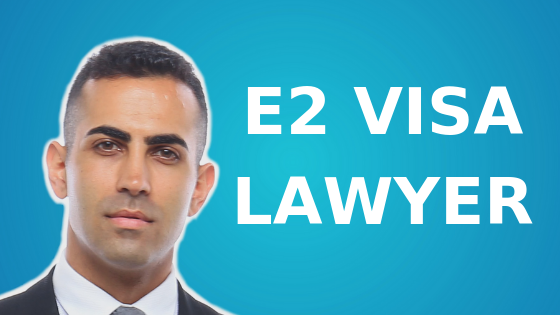 If you have any questions about the E2 visa, feel free to email me directly at Michael@AshooriLaw.com. I’m very responsive via email and would be happy to answer your questions. 1. What is the E2 Visa? 2. What are the Benefits of an E2 Visa? 3. What are the E2 Visa Requirements? 4. What is the Process of Getting an E2 Visa? 5. What are the Differences Between Getting an E2 Visa and Doing a Change of Status to E2 Status? 6. How Long Does it Take to Get an E2 Visa? 7. How Long Can I be in the US on an E2 Visa? 8. If I Get an E2 Visa, Do My Family Members Get Immigration Benefits? 9. Can I Get an E2 Visa as an Employee of an E2 Company? 10. How Can I Go From an E2 Visa to a Green Card? The E2 visa is a non-immigrant visa for investors, entrepreneurs, and people looking to run a business in the United States. With an E2 visa, you can start a US business or invest in a US business and work for that business. To get an E2 visa, you must invest a substantial amount of capital into a US business and you must direct and develop that business. You can either start a new business or invest in an existing business to qualify for an E2 visa. The E2 visa is only available to people from certain countries that have an E2 treaty with the United States (we will go over the countries that qualify for an E2 visa down below). There is no limit to the number of times the E2 visa can be renewed. So as long as the E2 business continues to operate and meet the E2 visa requirements, and E2 visa holder can continue to renew their visa and live and work in the United States. The E2 visa is a non-immigrant visa for investors. You qualify for an E2 visa by making a substantial investment in a US company. The E2 visa can be renewed over and over as long as the business continues to operate and meet the E2 requirements. With an E2 visa, you can start a business in the United States and work for that business. By getting an E2 visa, your spouse and unmarried children under 21 years old can also qualify for E2 visas. Your spouse can apply for work authorization, to work in the United States. Your children can go to school in the United States. There is no set minimum investment amount to qualify for an E2 visa. Investments as low as $50,000 or even lower have qualified for E2. There is no limit to the number of times you can extend your E2 visa. Some E2 visa holders stay in the United States for 15 years or longer. Unlike other non-immigrant visas, you do not need to maintain a foreign residence to get an E2 visa. You must be a national of a country with an E2 treaty with the United States. You must have the intent to depart the US once your E2 status ends. You must make a substantial investment in a US company. Your E2 business must be an active, for-profit business. The business that you invest in cannot be considered a marginal enterprise. You must be entering the United States to direct and develop your E2 business. The source of your investment funds must be lawful. Your investment must be irrevocably committed to the E2 business and must be at-risk. i. You must be a national of a country with an E2 treaty with the United States. To get an E2 visa, you must be a national of a country that has a qualifying treaty with the United States. You must have the nationality of a country with a qualifying treaty with the United States. You typically have the nationality of the country of your citizenship. If your nationality is unclear, the nationality laws of your home country and the language of your home country’s treaty with the US will determine whether you qualify as a "national." If you are investing in a US business as an individual, then you will be considered the E2 principal investor. Your country of citizenship will determine whether you satisfy the nationality requirement. If you are a dual national (you hold nationality of two countries) you may still qualify for an E2 visa. You will have to apply for the E2 visa based on your nationality of the treaty country. If your foreign business is making the investment in the US business, the foreign business will be considered the E2 principal investor. The nationality of the business is determined based on the individual owners of the business. To qualify for E2, the business must be at least 50% owned by nationals of the treaty country. If less than 50% of the business is owned by nationals of the treaty country, it may still qualify for E2 if the business is restructured so that treaty nationals own at least 50% of the business. The second part of this requirement is that there must be an E2 treaty between the US and the E2 investor’s country of nationality. ii. You must have the intent to depart the US once your E2 status ends. To get an E2 visa, you must have the intent to depart the United States once your E2 status ends. For most non-immigrant visa categories, you are required to prove that you have non-immigrant intent. To prove non-immigrant intent you are usually required to show strong ties to your home country, such as having a foreign residence, a career, etc. This is not required for an E2 visa. For the E2 visa, you can satisfy the "intent to depart" requirement by submitting a signed statement that you intend to depart the United States once your E2 status ends. iii. You must make a substantial investment in a US company. To qualify for an E2 visa, you must make a substantial investment in a US company. The regulations do not specify a minimum investment amount that qualifies as substantial. Instead, a proportionality test is used to determine whether an investment is substantial or not. The proportionality test compares 2 numbers: the amount of money you actually invest in your business and the total value of the business. The value of an existing business is typically its purchase price. The value of a start-up is the total cost to bring the business to the point of being operational. To determine if your investment is substantial or not, the immigration official working on your case will calculate the proportion between how much you actually invested in the business to the total value of the business. For businesses with a lower value, your investment should be a very high percentage of the total value of the business to be considered substantial. For businesses with a very high value, your investment may be a lower percentage of the total value of the business, to be considered substantial. Unfortunately, there are no exact percentages used to determine what is substantial. If the total value of your business is $100,000 or less, your actual investment should be 100% of the total value of the business, to be considered substantial. On the opposite end of the spectrum, if the total value of your business is very high (for example $10,000,000), an investment of $5,000,000 would very likely be considered substantial even though proportionately it is only 50% of the total value of the business. 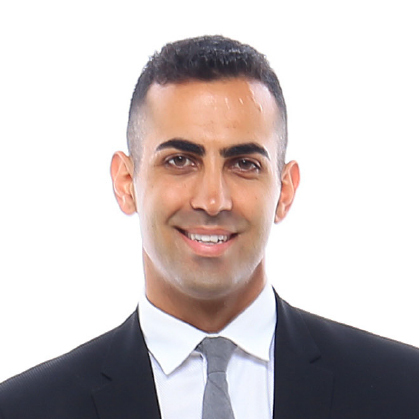 If you have any questions on your particular business, and whether your investment will be considered substantial, please email me directly at Michael@AshooriLaw.com. I’d be happy to help analyze your investment. As a general rule of thumb, at my firm, I like to see that at least $100,000 invested in the business and put at risk. However, investments for $50,000 and even lower have qualified for E2. The higher your investment is, the better chance that your investment will be considered substantial, and the stronger your case will be. iv. Your E2 business must be an active, for-profit business. The business invested in for an E2 visa must be an active, for-profit, business. The business must conduct some sort of entrepreneurial activity. Examples of businesses that would meet this requirement include companies that sell some kind of a product or service for profit. Passive investments will not qualify. This means that an investment in a piece of residential real estate, or an investment in the stock market will not work. v. The business that you invest in cannot be considered a marginal enterprise. To qualify for an E2 visa, the E2 business invested in cannot be a marginal enterprise. Show that has the present or future capacity to generate more than enough income to provide a minimal living to you and your family. Show that the business has the present or future capacity to make a "significant economic contribution." You can prove this by showing that the business either current employs or will employ multiple workers. vi. You must be entering the United States to direct and develop your E2 business. As an E2 investor, you are required to seek entry into the United States for the sole purpose of directing and developing the E2 business. You can satisfy this requirement by showing that as the E2 investor, you own at least 50% of the E2 business. If you do not own at least 50% of the E2 business, you can still satisfy the requirement by showing that you have operational control of the business. You can show operational control by having a managerial position within the business. Other similar ways may also work. You cannot be a passive investor and qualify for an E2 visa. If a foreign business entity is the E2 investor, it must show that it is directing and developing the E2 business. E2 employees do not have to show that they are seeking entry into the United States to direct and develop the E2 business. If two parties own equal shares in the business entity (50/50), they can still meet the “direct and develop” requirement. Both parties must have full management rights and responsibilities. vii. The source of your investment funds must be lawful. The funds that you use use to invest in your E2 business must have been obtained lawfully. Examples of lawful sources of funds include earnings from lawful employment, income from the sale of a property, gifts, an inheritance, etc. You can also use the proceeds from a loan as your investment funds. The loan must be either unsecured or secured by your personal assets. Loans secured by the assets of the E2 business will not qualify. You must be able to sufficiently document how the funds were earned. viii. Your investment must be irrevocably committed to the E2 business and must be at-risk. To get an E2 visa, you must make an investment that is at risk and your investment funds must be irrevocably committed to the E2 business. Basically, what this means is that your investment funds must actually be spent on the business and cannot just be sitting in your operating account. To satisfy the at risk requirement, your E2 investment funds must be subject to either partial or total loss. This means that there can be no guarantee that you will get any part of their funds back. To determine whether your investment is truly at risk, you can ask yourself the following question: If the E2 business fails, how much money would be lost? Your investment funds must be already invested in the E2 business at the time of filing or they must be in the process of being invested in the E2 business at the time of filing. You must also be close to starting actual business activities. This is to ensure that you, as the E2 investor, are committed to the success of the E2 business. Your intent to invest, without a present commitment is insufficient. Also, putting the investment funds in a bank account, without an actual commitment, is not enough to qualify for an E2 visa. That said, a reasonable amount of funds kept in a business operating account can qualify toward your investment capital. To meet the irrevocability standard, you may be able to place the investment funds in an escrow account. The release of the funds can be solely conditional on the approval of your E2 visa or E2 change of status. As a quick introduction to the process of getting an E2 visa, lets go over the difference between a visa and status. Visa: A visa is an entry document that allows foreign nationals to seek entry to the United States. Visas are placed in a foreign nationals passport at a US Consulate abroad. Status: A foreign national is given status at the port of entry to the United States. Status gives you the ability to be lawfully present in the United States. A visa can be valid for up to 10 years, but that doesn't mean that you can be present in the United States for 10 years. The period of validity of a visa determines the timeframe that you can seek entry into the US at a United States port of entry. Your status determines how long you are authorized to stay in the United States. The length of time you are allowed to stay in the US will be written in your Form I-94 which is stapled in your passport. Once you leave the United States, you no longer have the status you previous held (even if there is still time remaining on your Form I-94. There are certain limited exceptions to this. Consular processing is the process of actually getting an E2 visa affixed to your passport. Typically you will elect to get an E2 visa if you are outside of the US when applying for the E2 visa or if you plan to travel in and out of the US once you receive your E2 visa. If you choose to get an E2 visa, your immigration lawyer will prepare the documents proving that you meet the E2 visa requirements. Your immigration lawyer will also prepare a Form DS-160 as well as a DS-156 E supplement. Your immigration lawyer will also prepare separate Form DS-160s for your dependents. Keep in mind, many US consulates have their own requirements for how they would like your E2 packet organized and submitted. Your immigration lawyer should follow the exact instructions of the US consulate when your E2 package will be submitted. Once your attorney submits the E2 petition, the US Consulate will take about 2-3 months to review your petition. Once reviewed, the consulate will set up an interview with you. At the interview, you may be asked questions about the E2 investment, the source of your investment funds, and other similar questions regarding the information contained in your E2 visa package. Following the interview, it will take the consulate up to about 1 week to place the visa in your passport. If you are already present in the United States in a lawful non-immigrant status, you may choose to change your status to E2 status. A change of status is basically changing from one non-immigrant status to a different non-immigrant status. The entire change of status process is done while you are in the US. You do not have to leave the US or attend an interview. Note: You cannot do a change of status if you are in the US on an ESTA. Your immigration attorney will organize the documents that prove you meet the E2 visa requirements. Your attorney will also complete the Form I-129 as well as the E Supplement on your behalf. Your attorney will also complete a Form I-539 for your dependents. To change your status, your lawyer will submit the completed E2 petition to USCIS. USCIS will take between 2 and 3 months to issue a response to your E2 petition. For an extra fee, USCIS offers Premium Processing which reduces the processing time to 15 days. Once approved, you are granted E2 status. This means that you are granted the rights and privileges granted to E2 visa holders except for the fact that you do not have an E2 visa. If you leave the US, you will forfeit your E2 status. There are limited exceptions to this. 5. What are the Differences Between Doing a Change of Status to E2 and Getting an E2 Visa? There are many factors that you should consider before you decide whether to change status or go through consular processing. Before you decide which option to choose, you should discuss with an immigration attorney. Are you lawfully present in the US? If you are abroad you will not qualify for a Change of Status. How quickly do you need the E2 visa? One of the reasons some people choose to do a Change of Status is because of the speed of processing. USCIS offers Premium Processing. This means that a Change of Status can be processed in as little as 15 days. Consular Processing can take much longer. Will you need to travel outside of the US? Keep in mind that if you change status to E2 status, once you leave the United States, you will no longer have status. To re-enter the US, you will have to get an E2 visa at a US Consulate abroad. US Consulates do not base their decision on a prior approved E2 Change of Status from USCIS. So you will be applying all over again for an E-2 visa at the consulate. You will have to re-submit the documents proving that you meet the E2 requirements. Some consular posts are more strict than others and will want to see a higher investment amount, to qualify as a ‘substantial’ investment. If your consular post is strict, you may want to change status. This is so that you can grow your E2 business. Then, at that time, you can apply for an E2 visa abroad with more funds invested in the business. Keep in mind that this strategy can also work against you if your E2 business does not perform as well as you expect. In this situation, the consular post would have two years of actual business activity to judge your business. Once you hire an immigration attorney, they will review your case. They will then provide you with a list of all the documents they need from you to file your E2 visa application. The gathering of documents takes clients around 1 month. This can be much faster or slower depending on you. Once you send the documents to your immigration attorney, they will take about two weeks to prepare and complete everything. They will then file your completed E2 petition. Your application will then be sent to the US consulate of your home country (consular processing). Or, if you are in the US you can change status to E2 status (change of status) by sending your application to USCIS. Consular processing takes around 2-3 months. A change of status through USCIS takes 2 to 3 months. You can choose to speed up the process by paying an extra fee of $1,225.00 for premium processing. This will reduce the total processing time to 15 calendar days. A request for additional evidence (RFE) can slow down this process. Keep in mind: If you select Premium Processing, USCIS only has to issue a response within 15 days. USCIS can send a request for more evidence if they believe your application is missing something or if they are confused about something. Once you respond to a request for evidence, USCIS is no longer required to respond within 15 days. USCIS can take longer to respond. The length of time your E2 visa is valid for depends on the country issuing the visa. The period of visa validity generally ranges from 1 year to 5 years. If your E2 visa is valid for 5 years, this does not mean that you can stay in the US for 5 years at a time. Your status (not your visa) determines how long you can stay in the US at any one time. With an E2 visa, you are granted 2 years of status each time you enter the US. With a valid E2 visa, you can exit and re-enter the US to get an additional 2 years of status. There is no limit to the amount of times you can renew your E2 visa. You can continue to renew your E2 visa as long as your company meets all the E2 visa requirements. Yes, as the principal E2 applicant, you can bring your spouse and unmarried children under 21 years old. Your spouse and unmarried children with also have E2 status. Your spouse may apply for a work permit to work in any lawful capacity in the United States. Your children may attend school in the US but they may not work. 9. Can I Get an E2 Visa as an Employee of the E2 Business? Yes, a noncitizen may get an E2 visa through employment with an E2 business enterprise. The E2 visa is a non-immigrant visa category. This means that the E2 visa is temporary and does not directly lead to a green card. So, to get a green card you will have to apply for an immigrant visa or adjust status to an immigrant status. Remember, the E2 visa requires you to have the intent to depart the United States once your E2 status is terminated. Still, you cannot be denied E2 status just because you get approved for an immigrant visa petition. This means that you can apply for an immigrant visa or adjust status in the US while you have an E-2 visa. Now that you know the basic issues, lets discuss the different green card options. The EB-5 visa is an investment based immigrant visa. This means that it leads to a green card. The EB-5 visa requires that you invest a minimum of $1 million in a US business. Or, you can invest $500,000 if the investment is located in a targeted employment area. Your investment must also lead to the creation of 10 full-time jobs for US workers. The benefit of transferring from an E2 visa to an EB-5 visa is that in some cases, your investment to get the E2 visa will count for your EB-5 visa. Also, if you’ve created jobs for your E2 business, these jobs may also count for your EB-5 visa. If you already invested a lot of capital in the E2 business, and created enough jobs, you may be able to get an EB-5 visa with little effort. Your close family members that are US citizens or lawful permanent residents may be able to sponsor you for a green card. You may qualify for a green card if you enter into a legitimate marriage with a US citizen. You may qualify for a green card if a US company offers you a job and sponsors your green card. The US employer would have to get a Labor Certification through the US Department of Labor. The benefit of this visa is that you can self-petition. This means that you can apply for your green card without a company sponsoring you. With a National Interest Waiver, you can apply for an EB-2 visa without a US company sponsor. To get a National Interest Waiver, you must show that it is in the national interest of the United States, to allow you entry without a US company sponsor. Now that you’ve read this guide, you should have a good understanding of the most important aspects of the E2 visa. We have covered: What the E2 visa is, the requirements to get an E2 visa, the benefits of an E2 visa, and much more. I know that this is a lot of information to understand. If you are confused about anything, don’t worry, I’m here for you. If you have questions, I welcome you to email me directly at Michael@AshooriLaw.com. I'm very responsive via email and would be happy to help you. E-1 and E2 Nonimmigrants - Updated by Henry J. Chang.